Big Thanks to Jake Striefel for giving me a "lifter's price" on these PLUSA mags! Jake Striefel with a 655 at the 1977 BCPA Championships. 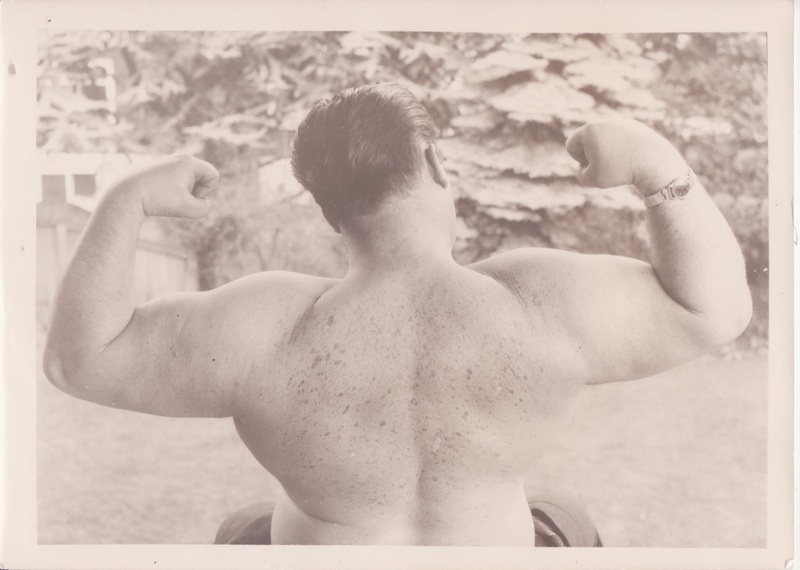 The first time he walked into a gym, weighing but 116, he bench pressed 200 pounds. By the time he's finished he will bench 500. 24 years of age, he's a veteran of four Seniors and two Worlds. He's also a rigidly disciplined athlete . . . a charismatic, yet kind, individual . . . one of the foremost examples of a true champion . . . a blend of humility and pride. His friends and admirers are many, and he appreciates them all. His course to the top has not been as easy as some others . . . he has been beaten . . . witness the 'disaster' in Finland. But it doesn't seem to matter. Somehow, if you watch him, and talk with him, you know that his course is charted, and that he will succeed no matter what befalls him on his journey. With his gestures, and the demonstrations of his strength, his youthful aggressiveness, the sound judgement about his lifting . . . you cannot help but believe and hope for his success. I'm reminded of the moment at the '78 Seniors after his second attempt bench press with 424. He smoked it, and strode off the platform, triumphant, raising his hands in a twin Number One salute. Frantically I fumbled with my defective camera, praying for just one chance to get a picture off, one try to crystallize that moment in time. He had me convinced he was the best lifter in the world, forget Inaba, or Bridges, or whoever, forget the formula . . . it was just a matter of time. Rick calls it the greatest change he's made in his training, and it is largely responsible for the progress he's made from a 410-310-500-1220 at 148 at the 1974 Seniors to 622-434-672-1730 prior to Finland weighing a mere 168. The Gaugler cycle is a mix of hard training and avoidance of overtraining, a clever schedule of surges and rest periods alternated in an increasing tempo towards the peak. Weighted Situps and Leg Ups, 1 x 30. Concentration Curl, 3 x 8. Bench Press, 5 rep warmups, 4 heavy sets of 3 with 3-second pauses on each rep followed by a set of 5 with 15 pounds less and regular competition pauses on each rep. The considerable amount of assistance work is necessary for someone considering moving up a class. To reach your potential in strength you have to develop every muscle. This also prevents injuries. Rick's favorites are the close grip bench, seated PBN, and the lying triceps press. When they go up so does his bench. 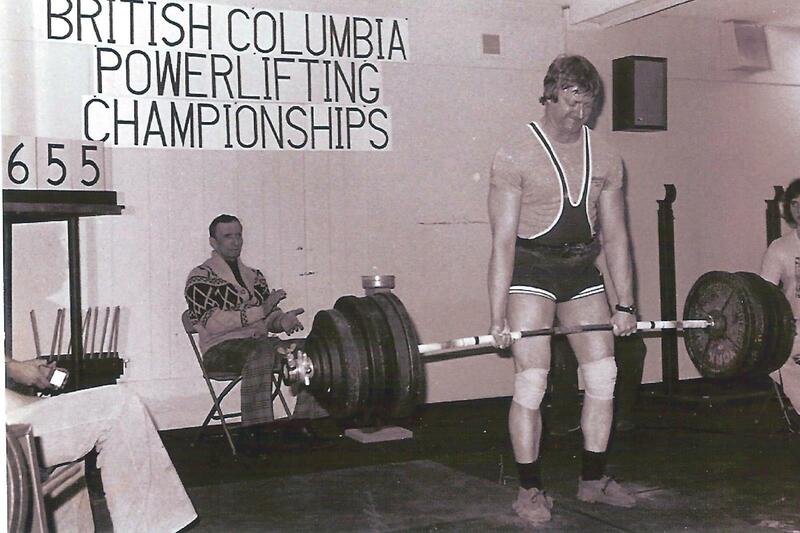 He's had bests in those lifts of 330 x5; 245 x 5; and 190 x 8 respectively. The cycling system helps Rick to avoid overtraining, even while working construction, swinging a sledge in 95 degree heat and 95% humidity, losing seven to eight pounds a week, because he just backs off and starts the cycle again, which he never pushes beyond four weeks. The cycling system also helps him to know himself. He seldom misses a lift, in training or competition. 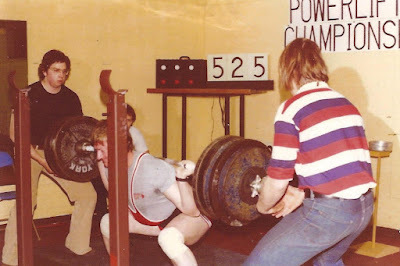 Again, these poundages are based on max lifts of 622 435 677 in a meet, but you c an see how the pattern would apply to your own lifts. He pushes for four weeks increasing 15/week in the Squat and Bench Press and 25/week in the Deadlift. Then he recycles beginning with 10 pounds more than he started the previous cycle with. The only time he switches to doubles is just before a meet. If a meet is a long way off he uses the same cycle, staying with triples, and starting over with only 5 pounds more each new cycle. Also, once again, Rick pauses all his benches. The Close Grips and light day Benches are done with a regular competition pause, and you should train them as strict as possible. 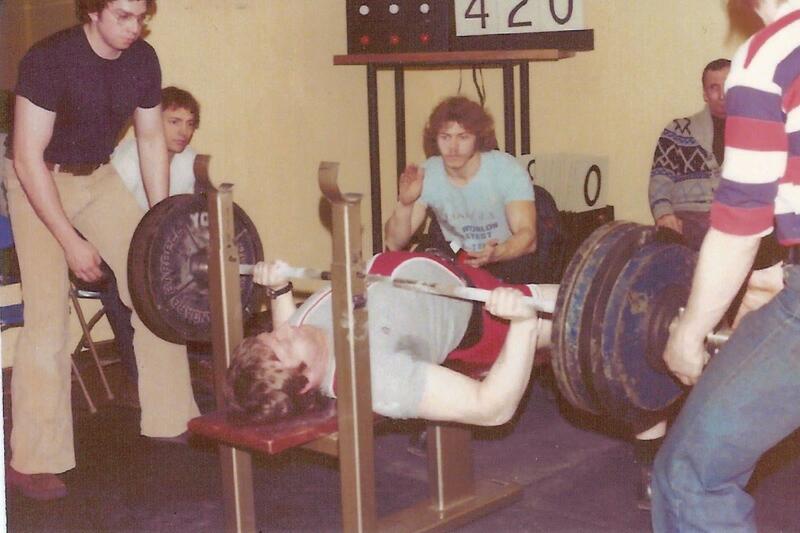 Then, in a meet, all you have to worry about is lifting the iron. He doesn't cycle his Close Grips or any of his assistance exercises, he just goes by how he feels on that particular day. Some days the benches, for example, may be especially tiring. The Close Grips, therefore, might fluctuate a lot due to the fatigue factor.